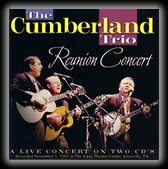 The Cumberland Trio (with special historic black & white film footage from ABC-TV’s Hootenanny January, 1964) performing Hootenanny Saturday Night & John Henry, live, at their Sept 24, 2004 renunion concert, “Back Where We Began”, at the historic Bijou Theatre Center, Knoxville, TN, USA. 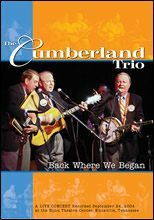 The video begins with Hootenanny MC Jack Linkletter introducing the acts on the stage together to begin the Saturday night show, including the national TV debut of The Cumberland Trio. Then the video fades into a live ending of Hootenanny Saturday Night and then the first song the Trio ever performed together John Henry (with new verses by Jerre Haskew).